The all-new 2019 Toyota Avalon, 2019 Toyota Corolla Hatchback and 2018 Toyota Camry have all received top honors from the Texas Auto Writers Association’s (TAWA). All three models earned accolades from the TAWA at the annual Texas Auto Roundup which included two days of in-depth test driving on the scenic closed course. During the event nearly 50 TAWA journalists put more than 45 vehicles to the test and evaluated each on exterior, interior, performance, value and personal appeal. The Avalon, Corolla Hatchback and Camry outranked the competition with designs, features and performance capabilities. 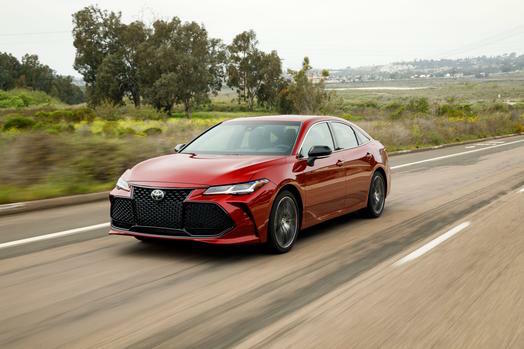 Each of these new Toyotas earned first-place titles for their individual categories – 2019 Avalon (Full-Size Car), 2019 Corolla Hatchback (Compact Car) and 2018 Toyota Camry (Mid-Size Car). The Avalon also won the TAWA award for “Best New Interior”. Our Toyota Dealership near Somersworth, NH has a wide selection of new Toyota Avalon, Corolla Hatchback and Camry models in stock now. We invite you to explore our new car inventory and come take a test drive soon.